Hey friends! It has been awhile since I shared a Target try on session, but I finally had a chance to get there this week. I have a few fun items from Target that I want to share with you. They are all linked below + some additional pieces that I didn’t get to try on, but I think that you will love! 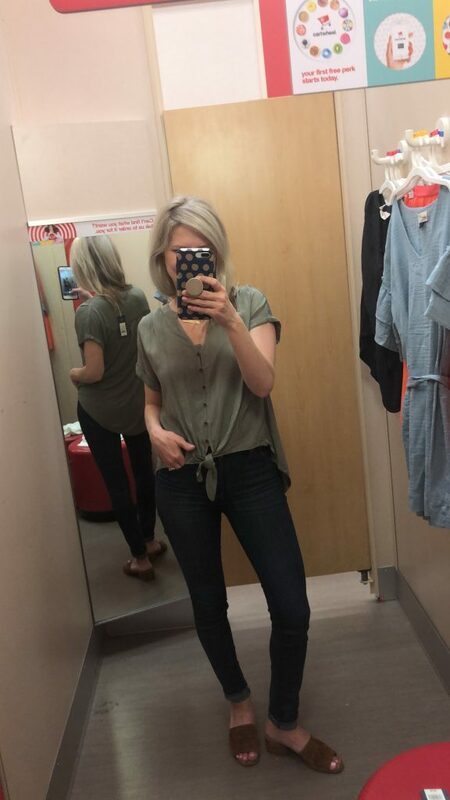 This cute high/low top by Universal Thread at Target is amazing! It comes in three colors and is under $20! I am wearing an XS here or a slightly more fitted look. This top looks great with a pair of skinnies or wear it with a pair of flares for a cute retro look and feel. Here it is in green and I’m wearing a small for a slightly looser fit! This adorable ruffle sleeve top has a more cropped fit. I am wearing an XS. This would look perfect with some high waisted jeans or a pair of denim cutoffs. You could pair with white pants/denim as well for a great wear to work outfit too! BONUS – there is a similar version for your mini me too! I’m linking it below! 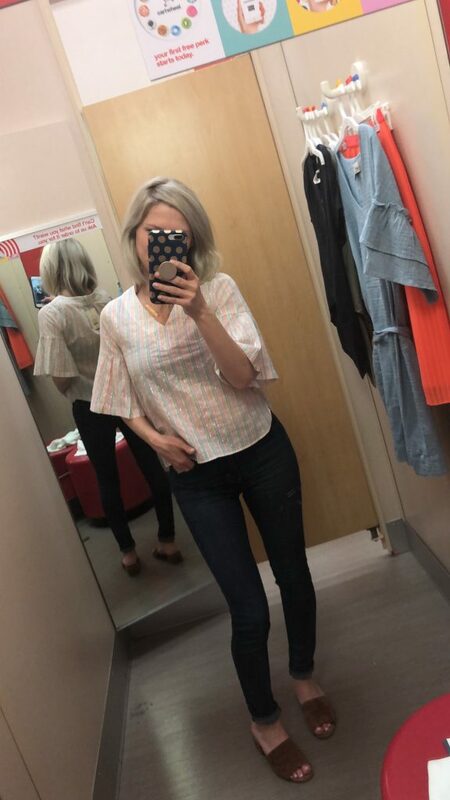 So I failed to snap a pic of myself wearing this cute ruffle sleeve tee, however I’m linking it for you here because it’s so versatile! You can wear it with a pair of shorts on the weekend, or put it with a skirt for the office! This little blue wrap dress also comes in black! It runs big so I would suggest sizing down. 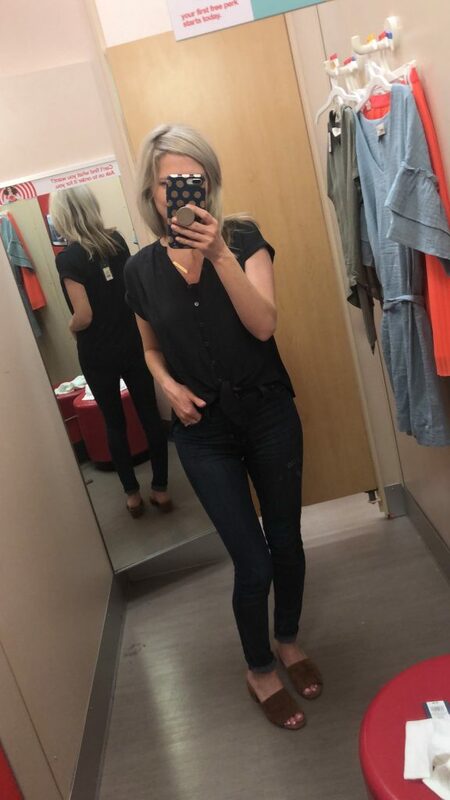 I am wearing a small here, but an XS would fit better. It is not see through and it’s a work appropriate length! You could pair this with some flat sandals or a nice espadrille wedge for a more polished look! I am loving the Universal Thread brand at Target! Their dresses are well made and the price is perfect! 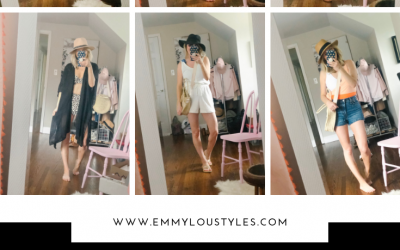 I have linked a few others below that are super cute and work appropriate! This one looks darling layered over a white tee! I actually already own this one and I love it! I wore it on Easter with a pair of block heels. Fits true to size (I have an XS). This strappy striped beauty would look darling with a denim jacket and a pair of espadrilles! If you’re looking for a pop of color, then look no further! 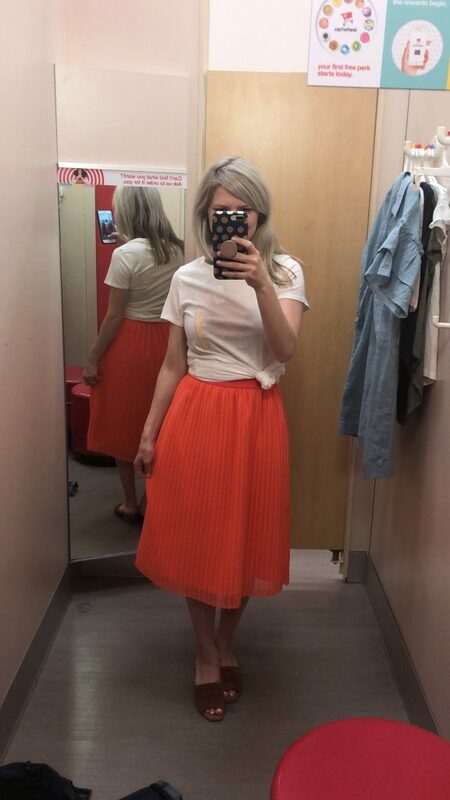 This pleated coral skirt is the right amount of punch. I paired it with a simple white tee because the skirt speaks for itself. It fits true to size (wearing an XS). A New Day has several other adorable skirts as well. This vibrant handkerchief hem striped number would also look great with a plain white tee! Button front skirts are on trend right now, and blue and white stripes never go out of style! That’s a wrap gals! 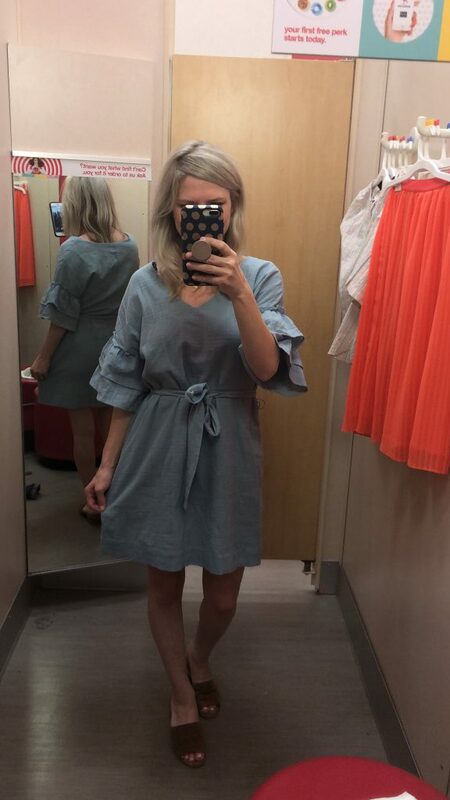 What is your favorite Target brand right now? Tell me below! Click here to see my last Target try on session!